For centuries, the South Pacific has been recognized by many as a magical paradise, filled with many ancient pearls of wisdom, rituals, teachings and healings that have been passed on from generation to generation. One of it’s greatest teachings is that everything that we perceive, whether it be positive or negative, is of our creation. And through forgiveness, we have the incredible power to change anything that we’ve created or perceive to be negative, and thus freeing us from the of pain and suffering that comes along with it. I am sorry, please forgive me, I love you, thank you. Pronounced ho-o-pono-pono, this ancient Hawaiian ritual has the power to change any circumstance. It is a ritual of healing and releasing that creates a profound peace with anyone or anything in your life. Even within yourself. I have used this ritual many times in my practice to help clients heal from old hurts and resentments that have been plaguing their relationships, and have witnessed some truly powerful transformations. Clients tell me time and time again that they feel lighter and free, as though a huge burden has been lifted from them. Most of them even come to forgive the other person completely. And even when full forgiveness is not achieved right away, they find neutrality from which they can eventually find forgiveness. To understand this ritual, one must first understand it’s origins. In many Polynesian cultures, it was and is still believed that a person’s transgressions (called hara or hala) lead to suffering. Some believe that the suffering was a result of the punishment of angry or malevolent God’s, or due to the guilt that one feels as a result of their transgressions. This suffering could come in many forms including mental, physical and emotional pain, and could be expressed both internally and externally. And when you ask for forgiveness of your transgressions, you release the punishment. In its traditional form, the Ho’oponopono ritual was lead by an elder or medicine man, also know as the Kahuna. The elder or the Kahuna would bring individuals together, to state and discuss the transgressions that took place that caused the suffering that was asking to be healed. 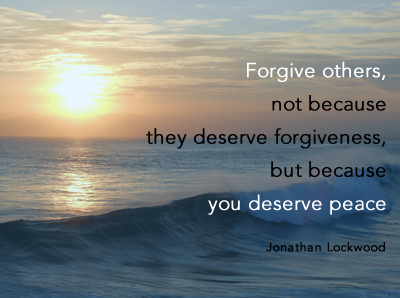 Each person would be heard and everyone’s feelings acknowledged to open the door for the forgiveness to take place. Once the forgiveness took place, everyone was released from the punishment of the transgression. Thus restoring the emotional, physical and mental harmony of all involved. To witness the magic of this powerful ritual in more modern times, fast-forward to 30 years ago when Dr. Stanley Hew Len arrived as the new clinical psychologist at the Hawaii State Hospital. The hospital had a specialized ward for the criminally ill. These were people who had committed the most unspeakable crimes as a result of various acute mental disorders. The inmates of this ward were never brought outside for fear of what they would do. And the staff at the ward were terrified of the patients and felt the impact of working in such depressing and stressful environment. As a result, many of the staff suffered from anxiety and depression as well. When Dr. Len arrived, everyone was cynical. Especially the staff. What each of them was thinking was what could this doctor possibly do to help the inmates and staff of this ward, that someone hasn’t already done before. Well, in fact, he didn’t seem to do much of anything at all. Every morning, Dr. Len arrived with a cheerful disposition, took some of the inmate files and then closed himself in his office for the entire day. Never actually having met with any of the patients in person, he seemed to review every single one of their files one by one. And then slowly, things began to change. The ward started to look and feel brighter. The inmates were appearing to be more docile and were starting to spend more and more of their time outdoors. There was a significant decrease in the amount of medication that was being administered at the ward, and some of the inmates were starting to be released. Even the staff was feeling better about being at work. Dr. Len continued to work there over the course of 4 years. By that time, only a few inmates had remained in the ward, and eventually, the ward had to close. So what was it that Dr. Len did that was so different? How was it that he was able to bring such a significant positive change to an environment where so many had tried and failed before him? He was only using the Ho’oponopono ritual, to heal the part of him that created what he was experiencing at the ward. For hours he would sit in his office, review file after file, connecting with each one of the inmate’s files on an intimate level until he could feel the pain himself. Then taking full responsibility for what he was experiencing, he used the Ho’oponopono ritual to bring forgiveness and release that creation. For this ritual to be effective, you must first adopt the belief in which it was created. You must believe that everything that we perceive or experience is of our creation. There is nothing that is created outside of us. If we see someone or something that is upsetting to us, we must acknowledge that we created the seeing of that upset. We are responsible. Now this will be a difficult concept for many to accept, however, try and understand that this doesn’t mean that it’s our fault. This only means that we are responsible for healing the experience that we have created. When using the powerful ritual of Ho’oponopono, use the following steps as a guide to ensure that you get the most out of the ritual. And then watch as the difficulties that you are experiencing are completely transformed. Once you’ve tapped into that person or situation, use the prayer to forgive and release it: I love you, I’m sorry, please forgive me, thank you. Continue repeating the prayer and feeling the words of the prayer being expressed from the deepest level within yourself. Keep repeating it until you think you are done, and then do just a little bit more.